Looking to Hire a Magician in Kent? 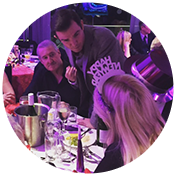 Kent magician and mind reader Edward Crawford has been performing his close up and cabaret act throughout Kent for the past 15 years. 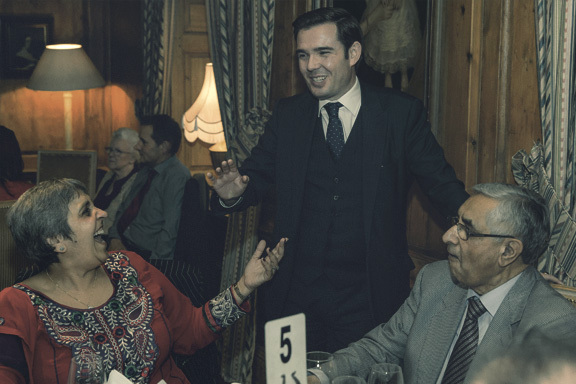 The London Standard described Edward as the perfect guest at any high class gathering. 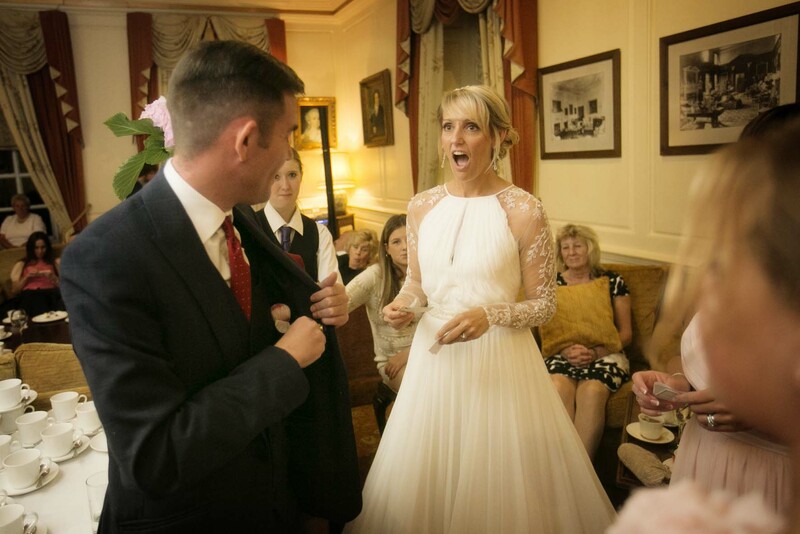 Whether performing as a Kent magician at corporate events, Christmas parties, banquets, balls or weddings, Edward’s performance is the perfect entertainment for any event. 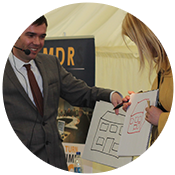 Based just south of London, Edward is only 30 minutes from Kent and in the last 12 months has performed in cities and towns including Ashford, Dartford, Dover, Maidstone, Folkestone, Tonbridge and numerous other areas. Whether you are looking for a close up performance or a cabaret show, Edward will be the perfect entertainer to make your event truly unique and memorable. 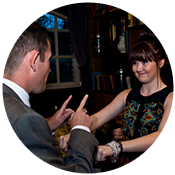 Please click on the links above for more information or contact Edward to hire a magician in Kent. Combining contemporary magic and psychology, Edward’s style of magic produces one of the most extraordinary acts you will ever witness. Reading thoughts, predicting the future, moving objects with his mind, Edward uses a mixture of psychology and sleight of hand to create a grown up style of magic that will leave even the most cynical with a sense of wonder. If you would like to book him for your event in Kent simply fill in the enquiry form below. 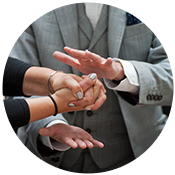 Whether you require a Kent Magician for close up performance at a dinner or drinks reception, or a cabaret /stage show, Edward will tailor his act to suit your event. Oh My God, That was Amazing, How is that possible? Christmas party time! My busiest time of the year! Last week I had the pleasure to perform at the Christmas party of Nelson Policies at the Swan, West Malling, Kent. The party was for about 20 people. As it was quite a small group I decided my dinner show would be the ideal performance. This is basically my stage show performed on a much smaller scale so it can be easily be set up in the smallest of venues with a minimum of disturbance. Originally the idea was to perform the show in the lounge after dinner but as things were running late I decided to perform in 2 acts throughout the dinner. The first act between the main course and the deserts and the second act after desert. This show is without a doubt my favourite to perform, it’s small and intimate enough so it means I get to know all the audience whilst at the same time giving the opportunity to perform some of my favourite stage routines. All the guests were up for a good time and made for an ideal audience, practically a 100% success rate as far as reading minds and making predictions. I ended the show on my favourite routine that involves empathy between two people. In this case I used the CEO of the company and the lady who booked me. The results were phenomenal and resulted in a standing ovation. Thanks to everyone at the Swan for being so accommodating and to Nelson Policy for the booking. 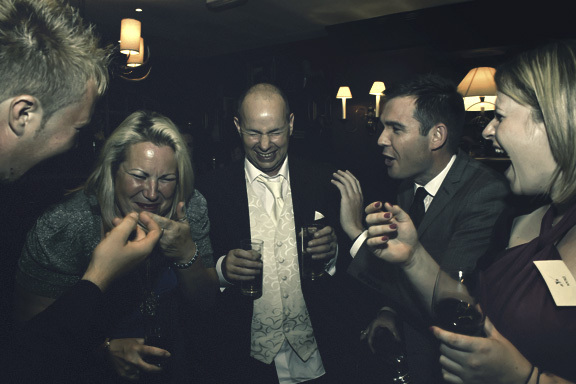 If you’re after a magician for your Christmas party in Kent please get in touch to discuss your event. Please remember that Christmas parties get booked months in advance so book early. The day after the event at the Bannatyne Gym, above, I was contacted by one of the guests to book me to perform at a garden party to celebrate her husbands 50th birthday. This event took place on Saturday in their beautiful house and gardens in Dartford, Kent. The event was for about 100 friends and family members, including children. A point here to remember is that I am not a children’s entertainer. Anyone aged about 10 upwards are always fine. 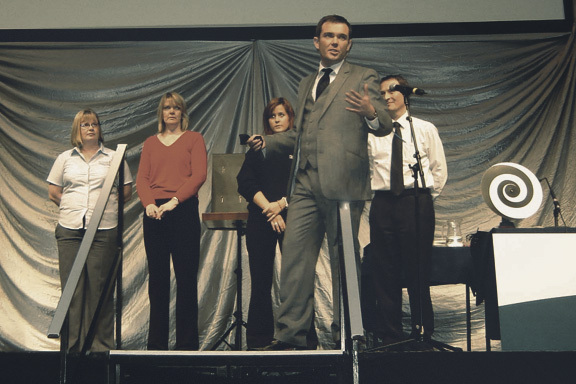 For younger children though the more psychological nature of my magic is not always so easy to understand and I would always recommend a separate children’s entertainer, which is exactly what they had at this event. My performance was a very standard close up magic performance. I mixed and mingled with the guests as they ate and drank performing for each group. Generally each group had a 10 minute routine which included mind reading, psychological influence and predictions. After I had performed for all the guests at the event which took about 2 hours I stayed behind for a while as people had lots of questions about what I do which I’m always happy to answer, how truthful I am is another matter! I also showed a few more routines including a special routine for the birthday boy. It was a fantastic evening and I want to say a huge thank you to Neil and Wendy for the booking. 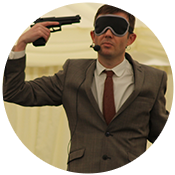 If you’re after a close up magician in Kent please get in touch to discuss your event. 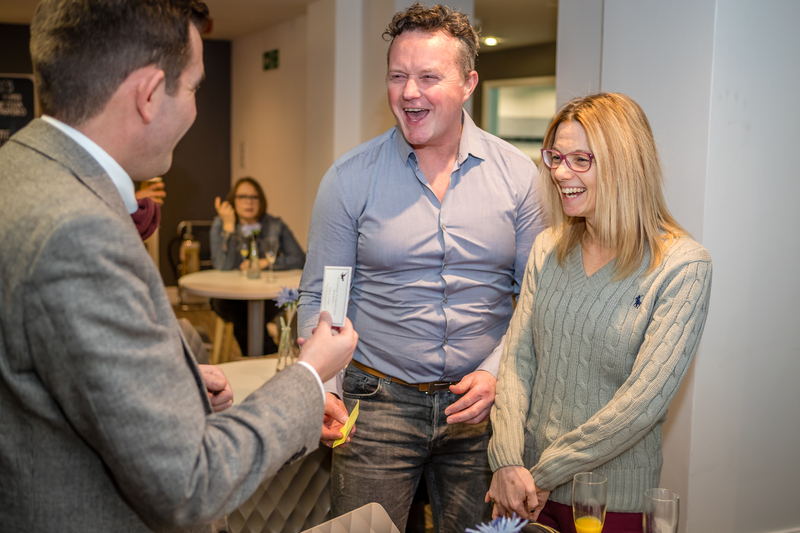 On Thursday night I was hired by the Bannatyne Health Club and Spa to perform close up magic and mind reading at the re-opening party for the health club after a refurb. The event was for their directors and members. I was hired to perform between 7pm and 9pm performing my unique brand of psychological close up magic. The event was for about 100 people and took place in the bar/restaurant area of the club. Throughout the evening I performed for small groups of between 2 to 10 people at a time giving each group on average a 10 minute routine. In a typical routine I might ask if anyone was particularly easily influenced, no one ever like to admit they are. I would then demonstrate that we all are by writing down something, for example the name of a playing card. I would then ask people to name a playing card, the card named would be the same as I had written down. A simple demonstration of influence. I would then move onto the mind reading. I might ask people to think of a place in the world they would like to visit or the name of a favourite pet. I would then describe the pet, name it and name the holiday destination. This is the basics of a simple close up routine. The picture to the right (or below if you’re looking at this on a mobile) shows my hypnosis/empathy routine. This is something I don’t perform that frequently but if you do ever see me perform ask to see it as it is quite special! I had a fantastic night performing for everyone and was very pleased to be invited by the manager to perform at a number of other events for the Bannatyne Group. If you wish to hire a Kent Magician for your event please get in touch and I will advise on the perfect entertainment for your event. 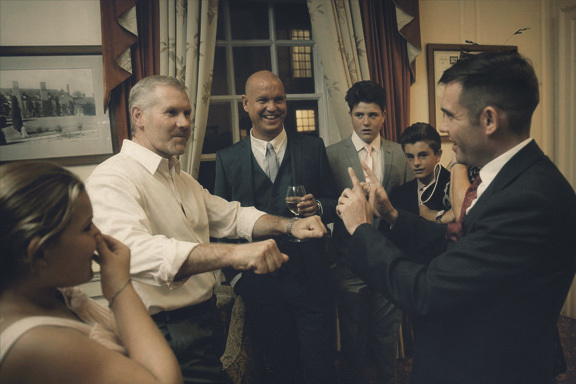 Sunday afternoon I was hired to perform close up magic and mind reading for a wedding at Cobham Hall in Cobham Kent. The wedding recpetion was held in the grounds of the hall in a marquee. I was hired to perform during the wedding breakfast and for an hour afterwards as people had drinks in the grounds. The client had originally asked me to perform a show during the dinner but due to the layout of the venue, half the guests would be unable to see me I recommended close up instead. During the dinner I performed at tables giving each group a ten minute performance. After the dinner things were a lot more relaxed and I mixed and mingled with small groups as they chatted performing a number of short routines for them. This is without a doubt my favourite way to perform close up magic. 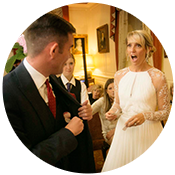 I’ve always felt that close up magic is ideal entertainment for weddings as it’s a great way for people who have never met before to get together and chat after my performance. This was the perfect opportunity for this as half the guests were Polish and the other half Indian, thankfully most people spoke enough English to understand what was going on! If your’re looking to hire a magician in Kent for your wedding please get in touch to discuss dates and prices.